Just back from a night out with some friends for a meal and then on to see Solomon Kane at the Odeon in Liverpool 1. Before I get to the film good to see that the Odeon seems to have improved since the last couple of times I’ve been there. The cinema was clean and had enough staff. Solomon Kane’s plot doesn’t stand out from other fantasy films. Where it does stand out is setting and acting. First the setting is unusual: early 17th century England with a mix of witchcraft, sorcery and puritans. It’s not history but it is a lot of pulp fun. I know some reviews have been upset by anachronisms. Again this is pulp fiction not historic re-enactment. Stop worrying about the flag being wrong – most of the audience don’t know and would have needed an explanation of who the ships belonged to if they’d flown a flag other than the union jack. That explanation would have been far more grating and story destroying than a flag being flown early. 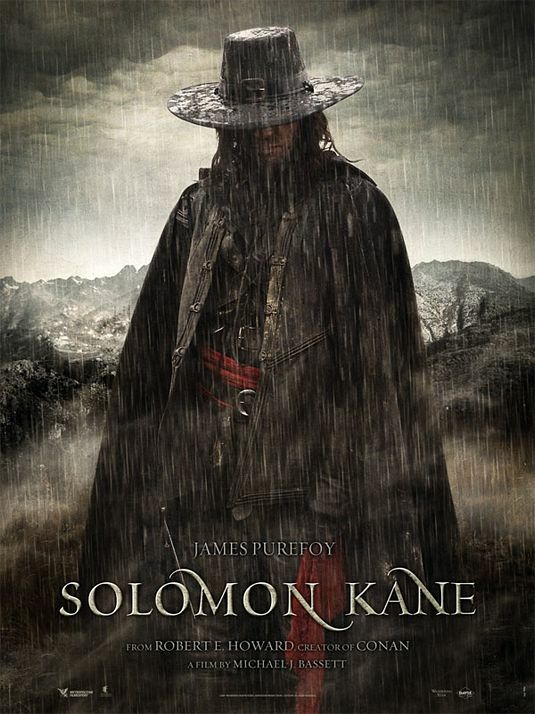 Solomon Kane’s cinematography and design is of the mud, rain and dirt school previously used for films like Bother Hood of the Wolf and Plunkett & Macleane. The CGI is competent and doesn’t distract by being overly flashy. The action is built up of small scale skirmishes but then, that is more in fitting with the setting. Anyone worrying about the flag ought to be even more worried about explaining away a major uprising during the last years of Queen Elizabeth’s reign rather than a little local difficulty. Sticking with small skirmishes also allows the action to remain personal, focussed on Kane. As with the plot the dialogue is clichéd peppered with biblical quotes which could have been disastrous. The quality acting which delivers the lines straight without slipping into camp manages to turn lines like “Hold you dogs!” into pulp gold. Kane’s West Country accent was also a joy – forget songs about combine harvesters it added yet more flavour to the film. Solomon Kane isn’t going to be to everyone’s taste. Reading some reviews its pulp sensibilities clearly upset some: it play fast and loose with history in a way that upsets those obsessed with the colour of epaulettes on uniforms; it upsets Robert E Howard purists; it upsets big spectacle fantasy fans by being small and personal. Personally I thought it was a fun film and I’ll be picking up on DVD and hoping for a sequel.